Most people, whether they realize it or not, use mathematics in varying degrees in their everyday activities. Mom, for instance, utilizes mathematics when she goes grocery shopping, or plans out the family budget. Dad uses mathematics when he works in his carpentry shop, or makes out his income tax returns. The daughter uses mathematics when she cuts out a pattern for a new dress, and their son utilizes mathematics for his model-building hobby. Contrary to popular thinking, mathematics, not music, is the only true universal language. Mathematics is one of the most useful and fascinating divisions of human knowledge. It is a part of the experience of all people, regardless of how far they have gone in school. Mathematics helps us in many other important areas of study, and has the power to solve some of the deepest puzzles man faces. Mathematics is the very foundation of scientific technology, and a clearer exegetical Biblical understanding. 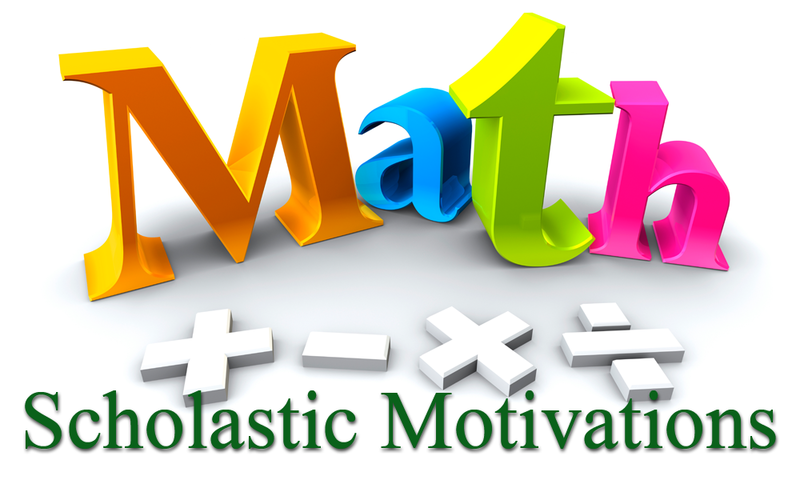 If the Mathematics Olympiad is of interest to you and you would like to recieve more information regarding the Mathematics Olympiad; you can contact contact our Scholastic Motivation Mathematics Olympiad Coordinator by Clicking Here. 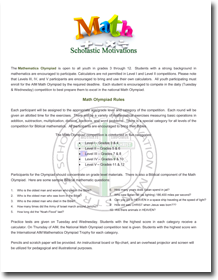 Additionally you can download the Mathematics Rules Document below with more information. © Scholastic Motivation Ministries. All rights reserved.